I was asked to do a wedding cake for a couple that were moving into our congregation. I knew family on both the groom and bride's sides. 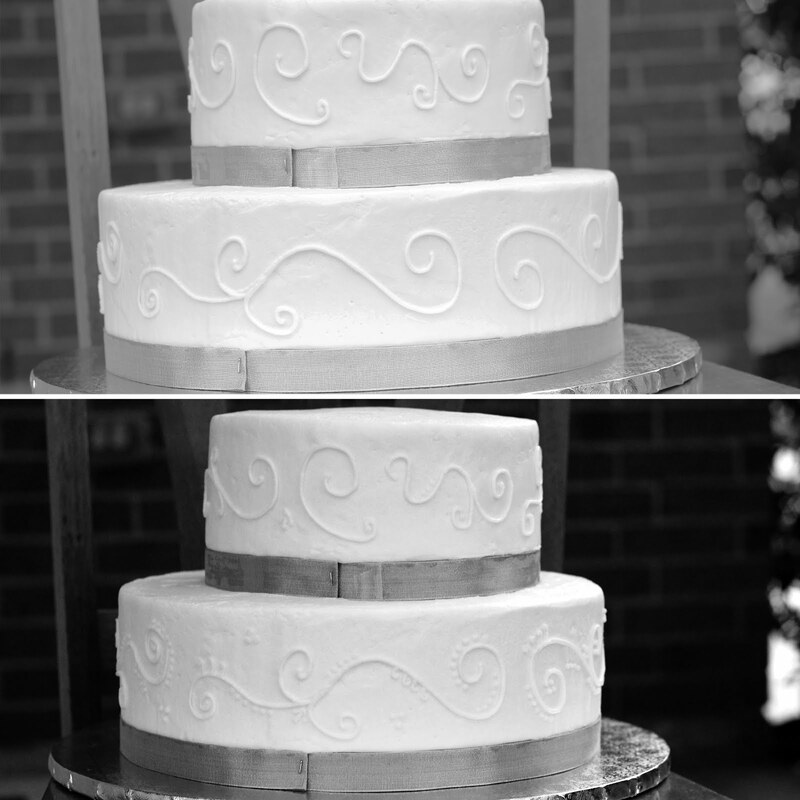 Realistically, with two birthdays a week before Christmas, Christmas, my 10 year wedding anniversary, being the day before my birthday and being six months pregnant, it probably was not the best time to be working on a wedding cake. But, doing something like this simultaneously terrifies and exhilarates me. Plus, I didn't feel like I could say no to these good friends. However, with my 4th coming soon, a husband finishing a PhD & heading back into medical school rotations, it will be looooooonnnngggg time before I have the energy to do it again! It's definitely addicting though, not gonna lie. :) Especially when the bride was as easy to work with and to please as this sweet girl was! I'm glad she was happy with how it turned out, I was, too! She gave me several pictures and she wanted some detail from each to make up the vision for her cake. 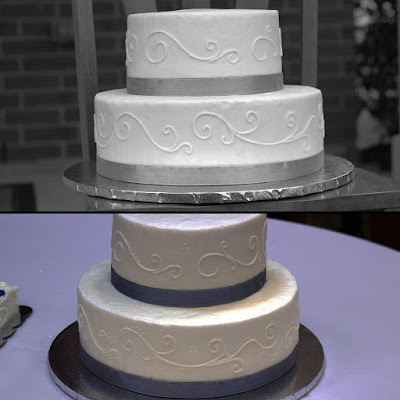 The top was an 8" triple chocolate cake and the bottom was a 12" foam tier. 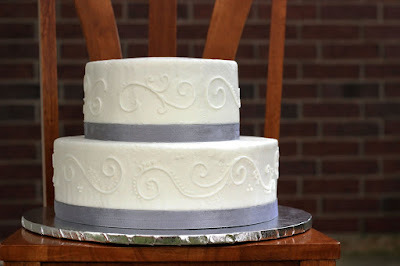 There was scroll work and silver ribbon with a blue & white flower accent on the side. I had never seen that willow tree design before and thought it was not only gorgeous, but perfect for the top of the cake! Last one, apparently, I missed this angle before embellishment, so no comparison.